The best time to visit Tanzania is during late June through October, when the country is at its dryest. Of course, different people want different things from their time in this breathtaking East African country, which can make other seasons optimal as well. Some are hoping for optimum game viewing in the world-renowned reserves of the Northern Circuit, while others want good weather for a relaxing break at the beach. 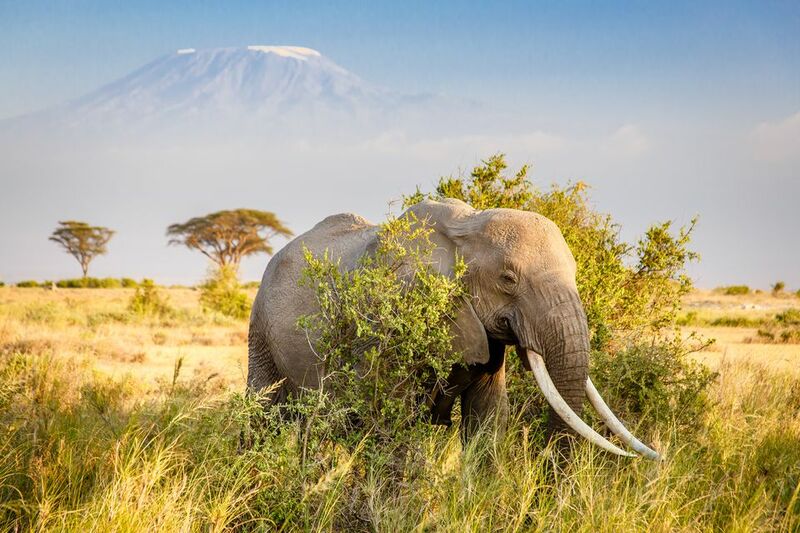 Weather is also a critical factor in being able to summit Mount Kilimanjaro or Mount Meru; while many visitors want to be in the right place at the right time to witness the annual Great Migration. Read on to learn more about which season may be right for your visit to Tanzania. Weather is probably the most important thing to consider when planning your trip. It's challenging to apply universal rules to a country as large and geographically diverse as Tanzania, but there are basic weather patterns that give a general idea of what you can expect at any given time of year. Tanzania has two rainy seasons—a long one that usually occurs between March and May and a shorter one that takes place in November and December. The most pleasant time of year is the long dry season (June to October) when the weather is generally clear and sunny. Temperatures vary greatly depending on elevation, but in the reserves and on the coast, the weather is usually warm even in winter. This incredible natural spectacle sees the annual migration of almost two million wildebeest and zebra between their grazing grounds in Tanzania and Kenya. While weather usually dictates the best time to go on safari, those that are traveling specifically to see the migration will need to follow slightly different rules. If you want to witness the wildebeest calving season, visit northern parks like the Serengeti and the Ngorongoro Conservation Area between December and March. In April and May, heavy rains make it difficult to follow the herds as they start their long journey northwest, so try to avoid booking a safari at this time. To witness the herds on the move, head to the Western Serengeti in June and July. If you're not too worried about catching the migration, then the best time to go on safari (whether you're headed to the parks in the north or south) is during the long dry season. From June to October, the lack of rain means that animals are forced to congregate at the waterholes, making them much easier to spot. The foliage is less dense, too, which also helps. The weather is generally cooler and less humid (which is a significant plus if you're planning on spending long hours out in the bush), and the roads are less likely to be made impassable by flooding. From a health perspective, the dry season is a better choice because disease-carrying mosquitoes are also less prevalent. With that being said, Northern Circuit reserves like Ngorongoro, Serengeti, and Lake Manyara usually offer good game-viewing throughout the year (except for Tarangire National Park, which is noticeably better during the long dry season). Although it's possible to climb Mount Kilimanjaro all year round, timing is a factor in your chances of a successful summit. There are two optimum climbing periods, both of which coincide with the dry season months of June to October and January to February. At other times of the year, seasonal rains can make the routes slippery and challenging to navigate. January and February are generally warmer than the winter months of June to October (although differences in temperature are minimal this close to the equator). Whatever time of year you decide to climb, make sure to bring cold weather gear, because the top of the mountain is perennially crowned with ice. These rules also apply to Mount Meru, which is located in the same area as Kilimanjaro. If you're headed to the coast for a spot of R&R (or to any of Tanzania's idyllic Indian Ocean islands), the best time to travel is during either of the dry seasons. The March to May rains are unusually heavy on the coast, making this time of year unreliable for devoted sun worshippers. The storms also disrupt underwater visibility, which can be disappointing for scuba divers and snorkelers. Spring brings the "long rains" and is considered the low season throughout the country. Many camps will close during these months, but it's easier to find good deals on lodging, and you won't see as many other tourists. Unification Day is celebrated on April 26, marking the day that Zanzibar joined Tanganyika to become the Republic of Tanganyika and Zanzibar. Mzalendo Halisi Music Festival takes place in May in northwest Dar es Salaam. It features traditional Tanzanian music by locals. Migrations begin in the summer as rains subside in May. Most river crossings take place in July. Additionally, the weather is often colder and less humid. This a favorite season, as many other tourists flock to see wildlife. The Zanzibar International Film Festival is typically held in July. Mwaka Kogwa Festival is a four-day festival held in July and August. Locals beat each other with banana stalks to settle last year's arguments. Bird-watchers can catch migrations beginning in October. Meanwhile, great game drives can be had across the country as the herds spend their time at the Mara River through October. In November and December, wildlife returns to the southern Serengeti. The coastal town of Bagamoyo hosts the annual Bagamoyo Arts Festival every September. The event features traditional and contemporary music and dance. Beaches are popular from November through February with visitors from European. Wildebeest calving seasons occur from January through March in the country's southern plains. You get to see hundreds of calves born each day. The Sauti za Busara African music festival is held in February. The Wanyambo Festival takes place in January, featuring lots of traditional music, dance, costumes, and food.